Today we launched a simplified way for organization admins to manage their team. 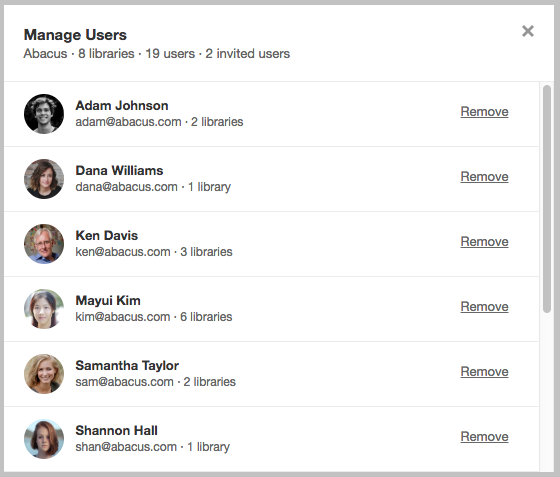 The new user management experience gives you a single dashboard to see all organization users and invited users. From there you can easily remove a user with a single click from all libraries. You can also cancel their account and ensure access is immediately revoked.